I saw this on Facebook yesterday. I don't know who said it or who created it. All I know is that it was perfect for this moment in time. I'm going through a ton of transitions right now. Changes I never saw coming. And through it I have people who are somehow fitting in right where I need them. Especially since some of this hit out of the blue. Looking back over the last few weeks and all that has happened this quote just fits. I have a lot of regrets at the moment, a lot of lessons that I am learning, and a lot of heartbreaks that will probably never fully heal. I am determined to get through this stronger though. I have decisions to make and they are harder than I thought they would be. My end goal keeps changing and I am questioning everything I ever thought I believed on some subjects. I feel like a failure everyday lately. It's not just that I feel that way though- it's really what I am. I am disappointing people and I don't know what else to do to make that stop. I told someone today that by letting someone tear me down and taking it to heart- I have no one to blame but myself. And while I know that's true, it's also hard not to do. Especially when a lot of what's being said is what I feel about myself. I have always been my own worst critic. And of course my brain is not disappointing in this instance either. I keep finding things that I have done wrong or things I could have done different. And while I can find fault with others too, I am finding more to fault myself with than anyone. So I am never going to say that I regret anyone that I have supporting me right now, I certainly regret the circumstances in which they are here for. 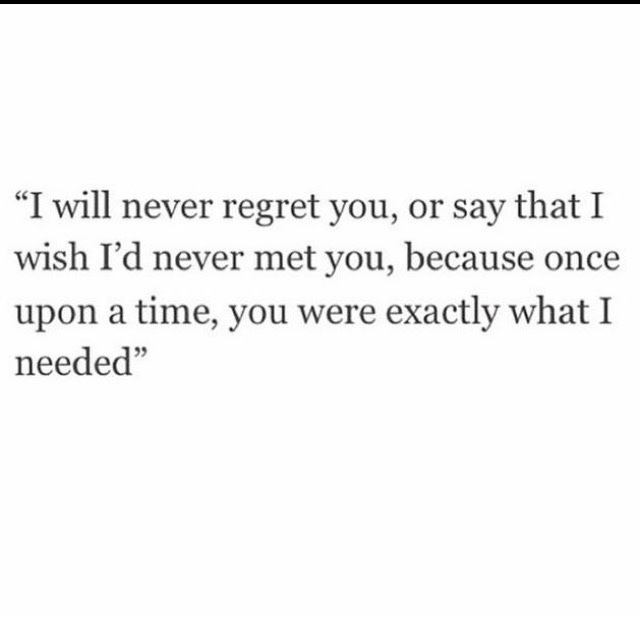 And I may never regret meeting them but there are times I certainly regret meeting me.